It was my second trip to Brazil Rio De Janeiro end last month. The first was three years ago. Both were business trips visiting Oil and Gas shows. This time I also spent time visiting Brazilian colleagues / office with ongoing work discussions. Brazil is one of the furthest countries I been to, with approx. 26 hours in-flight time from Singapore - I transited in Europe though I heard that transiting in Dubai is faster. In this post, I will focus on leisure part (outside work hours) of the trip rather than work. But still, I include two pictures from the exhibition as below. Brazil is one of my favourite countries that I had visited. Cozy temperature averaging 25 degC with bright sunshine most of the year. There are many famous beaches, such as Copacabana, Ipanema, Barra etc in Rio. You just feel so relaxing staying near the beach, surrounded by the soothening sound of the waves. The exhibition starts at 12 noon, which means every morning I always have time for a jog or walk along the beach, before being pampered by the coffee and delicious breakfast. The exhibitions are crowded and yes with so many gorgeous ladies - incredible! Oops! anyway I told my wife the same too. View from my Hotel. I am staying near Barra Beach – Barra is pronounced as Baha. “R = H” in Brazilian pronunciation. For dinner, you will be treated with so many nice restaurants with nice food. Typical dinner being “BBQ” Buffet where you will be presented with endless choices of meats as well as sushi and salad bars. The BBQ meat will be served by chefs slicing the mouth-watering meat onto your plate until you turn the “card” to “NAO OBRIGADO” which means No "Thanks". Normally you cannot resist and will keep saying “SIM, POR FAVOR" which translates to "Yes Please”. Dinner will not be without wine or Brazil national cocktail - "Caipirinha" which is mixture of sugar cane and hard liquor. Porcao is one of the most famous BBQ restaurants around. In the centre, you can see the “Yes / No” card to the meat. Similarly, you can say Yes or No by wheeling to Green or Red. Singapore's "Carnivore" restaurant had the same too. The word Brazil comes from a kind of wood called Brazilwood, which in early days, merchants and sailors named it to be the Land of Brasil. The country is the largest in Latin and South America in terms of population, geographical area and economy. It is the home of 190 million people with long coastal areas and abundance of mountainous terrain. Two of its largest states are São Paulo and Rio de Janeiro with 19.5 and 11.5 million people respectively. Brazil was the previous colonies of Portugal and Portuguese is their official language. Over ninety percent of the people are white or pardo (mixed), with Roman Catholicism being the main religion. For oil and gas people, everyone will be familiar with PETROBRAS, the state-owned Oil Company. Since the discovery of the Pre-salt oilfield in 2007, Brazil oil reserves boomed, and deepwater oil and gas exploration business forms on of the backbones of the Brazilian economy. Brazil is the country of “samba football” who hosted this year world cup. Coming up is another big event - Rio 2016 Olympics. Brazil Carnival is the most famous festival in Brazil during Feb-Mar period where people party, samba dance and sing for six days along streets day and night. The carnival always attracts hundreds of thousands foreigners with millions parading the streets. 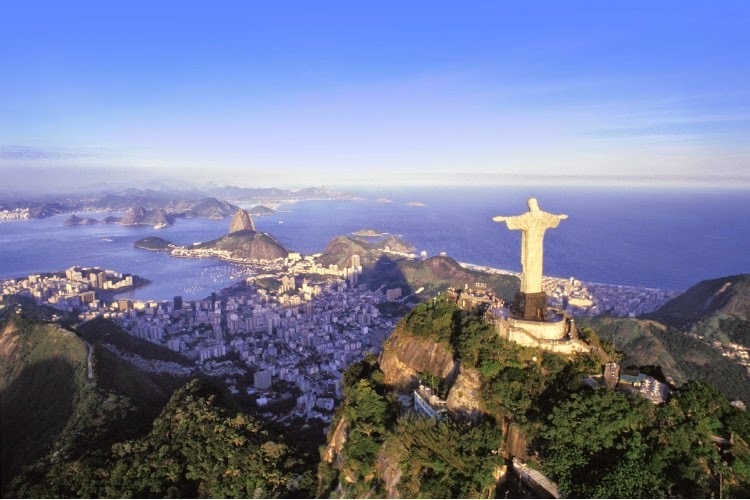 If you are in Rio, you will definitely not miss the “Corcovado” statue and “Sugarloaf” mountain being two most famous tourist symbols. I gave a miss to these two symbols this time, since I was already there the last trip. Instead my colleagues brought me to Gold Karting. Iconic Corcovado and Sugarloaf (top). 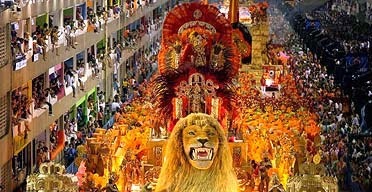 Brazil Carnival (bottom). This is the first time in my life that I did Go Karting. I like it! There are 12 racers. I started off really slow with a faulty vehicle and overawed by the speeds and swerves during the trial run, I started the actual race from 10th position. During the actual race, I did much better especially during the second half and saw me leapfrogged my standings to the mid-table. Not too bad, considering some of my colleagues’ frequent gold karting as hobby. Over the weekend, me and my colleagues travelled 3 to 4 hours (heavy traffic) east of Rio to escape the city life into the tranquil of Buzios. It is a beautiful resort town, made popular to the world when Famous French Actress Brigitte Bardot visited this fishing village in 1964. Frankly I do not know who is Brigitte Bardot although my colleagues told me that she is so so famous in the Western world. I will also write another post to share more about the culture of Brazil. Till then..
Why China Today is so Different - My Own Travel Experiences in the Last 10 Years! Got squeese in time to work or not? Work and private extension trips the best! I was invited by my boss and my Brazil office. We were together throughout the trip sponsored by Ah Kong who happens to be some VC now. No guilt, we all earn more than we spend for Ah Kong! Anyway work is never easy, blogging is! at least when you enjoy, it is! Next time I invite you if got such lobang (maybe JB trip).... You can pretend to be my client! What Are Your Big Ideas for Singapore? Otto Marine - Is Price Cheap Enough Now?